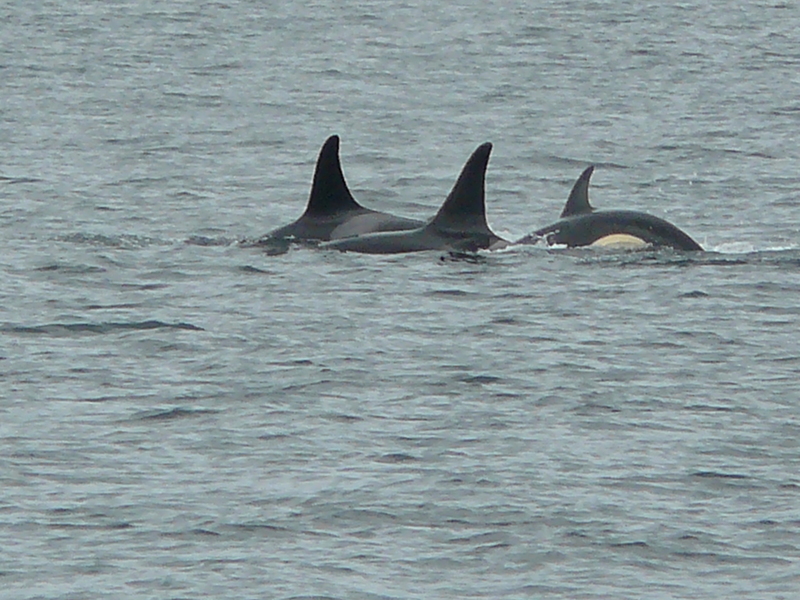 The time the Orcas are spending off the south end of San Juan Island, by False Bay, showing classic foraging, fishing behavior, makes me hope they are feasting on the Chinook Salmon! Today, with the tides settling down, the beginning of a flood tide, L-Pod and K-Pod whales were going back and forth, in 3 large groups, in different directions, then joining up. 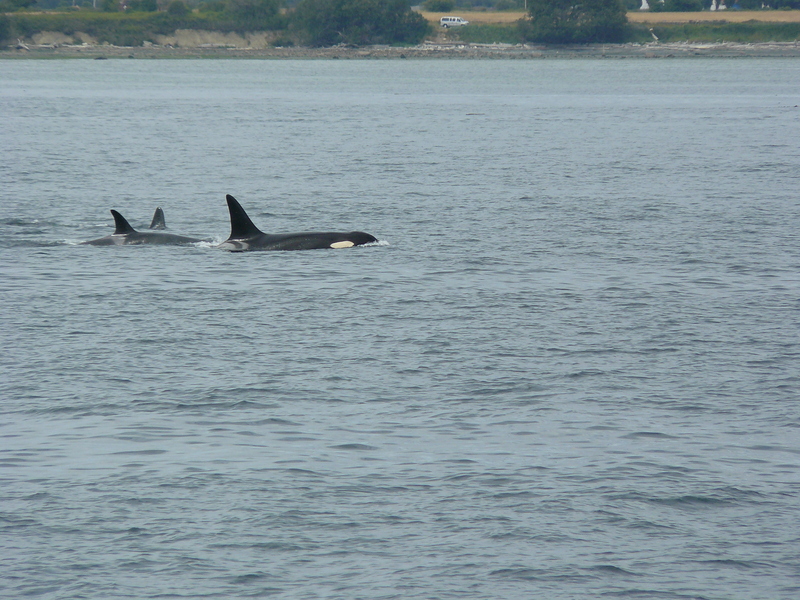 Rumor was J-Podders too, although I wasn’t able to ID or photograph the group over by Eagle Point. From about 2:55pm to 4:20pm, we watched the L-12’s, which includes L-25 Ocean Sun and L-41 Mega!, and K-20 Spock with her 7 year old son K-38 Comet and others. Again they did a lot of tail-fluke slapping the water. I have noticed this prevailing behavior this season, is it helping to stun the fish? A few spy hops, then some resting groups, with a male by himself offshore. Then they all went on very long dives, hopefully with full stomachs!